What a fantastic horse this is - Stradivarius, winner of the QIPCO Long Distance Cup! Stradivarius squeezed through the smallest of gaps on the home turn for a dramatic fifth win from five starts this year. Trainer John Gosden admitted afterwards that the participation of a colt he described as "fabulous" had been "touch and go" owing to unsuitably soft ground. After the four-year-old, who was third last year, had scored by a length and a half under Frankie Dettori from one-time Gosden inmate Thomas Hobson and then survive a stewards' enquiry, having drifted right and checked the runner-up inside the final furlong, the trainer said: "I said on Racing UK beforehand that the ground was one thing, but we are going to get put in the box from stall one and he'll have to be Houdini to get out of it - well he did. "He saw that glimpse on the bend and he dived for it. 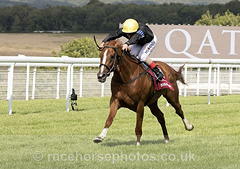 Ryan (Moore, on Flag Of Honour) tried to shut it but he was too late. It was a very clever ride. If he'd tried to come round, he would have been put back in that box. "He's a great horse - a fabulous horse - who didn't like that ground, but what a clever ride to take that one opportunity. We committed sooner than we wanted to on ground he didn't like, but it was jockeyship at its highest level. "He benefited from the break (since his last race). I wouldn't have come here unless he was in great order. Bjorn (Nielsen, owner/breeder) and I had a long talk out on the pavement for 15 minutes after I walked the course and it was touch and go whether we ran him, but I said ''It's Champions Day and we should run. "The ground is in pristine condition, although yes it's too slow for him. They won't go a great gallop and our problem will be getting out of the box, so full marks to the horse and the jockey for being brave enough to go through that tiny little gap. Lucky he's not a big horse, isn't it." Stradivarius, the champion stayer, stays in training and will bid to repeat this year's success in the inaugural Weatherbys Hamilton Stayers' Million. He is already only 9/4 from 52 with Ladbrokes for its centerpiece, the Gold Cup at Royal Ascot in June. Gosden said: "He won't run until May, when he will reappear in the Sagaro Stakes here at Ascot or the Yorkshire Cup, and then we will try to win the Weatherbys Hamilton Million once again." Frankie Dettori steered the evens favourite to victory, but it was a hard-fought success. The John Gosden-trained four-year-old, who has won all four of his previous starts this season including the Gold Cup at Royal Ascot, burst into the lead on the far rail after turning into the finishing straight, but had to hold off Thomas Hobson to win by a length and a half. "Obviously Ryan [Moore, riding Flag Of Honour, who made much of the running] was the one to beat. I had to shield Stradivarius a bit and then I was in the lap of the gods trying to get a run," explained Dettori. "When his horse didn't turn [into the straight] very well, I thought, I know I am committed - I might not get another chance. I got out of that pocket. For him [Stradivarius] I went far too soon, but I had to take the commitment. In fairness, he answered every call, and I wouldn't have done it if I didn't have that much horse. I had so much horse that I was able to take the gap in a split second before even Ryan realised. "Stradivarius has been a model of consistency and he deserved to be crowned champion stayer. What a season it has been for him." He continued: "I thought I was a couple of lengths clear, and then I heard the commentator say, 'Thomas Hobson is half a length behind!' I thought, 'God', and could just see this head behind me. But I picked him up again and he went again. "We discussed the ground - it isn't his ideal ground, but the horse has been so fresh at home - he's had two months off - and you can't beat a day like this at Ascot, so we rolled the dice and I'm glad it came off. He is all heart, this horse." It was hard work, though, as he had to be brave to go through a gap for Frankie Dettori on the inside turning for home, which had been left by the pace-setting Flag Of Honour. After seeing that horse off, Stradivarius appeared to leave Thomas Hobson a little short of room when Willie Mullins’ charge tried to sneak up the far rail in the final furlong. With two demanding miles (3,200 metres) of Ascot’s famous turf to negotiate, the QIPCO British Champions Long Distance Cup provides a thorough test of stamina for flat racing’s top stayers as they contest the final major long distance race of the British season. 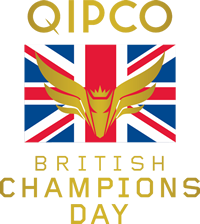 The seven races in the QIPCO British Champions Long Distance category vary in distance from the extended 1¾ miles (2,920 metres) of Doncaster’s William Hill St Leger to the 2½ miles (4,000 metres) of the Gold Cup at Royal Ascot. The two-mile trip of the QIPCO British Champions Long Distance Cup provides the perfect distance for the category finale. With £500,000 in prize money, it is the second most valuable all-aged long distance race in the British calendar after the Gold Cup at Royal Ascot.